Crystal Lake Chrysler, Jeep, Dodge, Ram is an outstanding new Jeep Cherokee dealership near McHenry, IL. We offer pre-owned Jeep Cherokee SUVs that are in excellent condition and we also have many 2019 Jeep Cherokees for sale. If you are in the market for a Jeep Cherokee All-Wheel SUV or a Jeep Cherokee Latitude for sale near McHenry, stop by the Crystal Lake CJDR dealership to check out our Jeep Cherokee prices or learn more about a Jeep Cherokee lease. The friendly staff is happy to answer questions about our new Jeep Cherokee SUVs or our certified Jeep Cherokee vehicles; they are always ready to show you around our selection of Jeep Cherokees for sale. Regardless if you’re looking for a new Jeep Cherokee or a pre-owned Jeep Cherokee, Crystal Lake CJDR near McHenry is a top choice! In addition, as a full-service dealership, we also offer vehicle service, repair, and maintenance. Besides the dozens of new Jeep Cherokee SUVs including the Jeep Cherokee Latitude for sale, our McHenry clients can count on us for excellent service specials, oil changes, tire replacements, and reliable Jeep Cherokee repairs. With professional, knowledgeable technicians and sales staff, Crystal Lake CJDR is an incredible new Jeep Cherokee dealership near McHenry, Illinois. If you have questions about the Jeep Cherokee price, a Jeep Cherokee lease, pre-owned Jeep Cherokees, certified Jeep Cherokees, or the 2019 Jeep Cherokee for sale, contact us today! You can also visit our website to learn more about any Jeep Cherokee for sale at Crystal Lake CJDR, your McHenry Jeep Cherokee dealership. McHenry, IL is in McHenry County with a population of about 27,000 residents. The city is located in a naturally beautiful area along the Fox River. There are numerous lakes and streams within McHenry and several nature preserves nearby, including Moraine Hills State Park, the Boone Creek Conservation Area, and the Volo Bog State Natural Area. McHenry is the middle point between Chicago, IL and Milwaukee, WI. The Crystal Lake CJDR dealership is located south of McHenry by only six miles. We are an extraordinary new Jeep Cherokee dealership providing McHenry residents with vehicle services and maintenance as well as a large selection of Jeep Cherokee SUVs. We are a new Jeep Cherokee dealership, but we also carry pre-owned Jeep Cherokees and certified Jeep Cherokee vehicles for McHenry customers. The Crystal Lake CJDR Jeep Cherokee dealership also has the new Jeep Cherokee Latitude for sale. The stylish and spacious 2019 Jeep Cherokee Latitude is available with Jeep Cherokee All-Wheel Drive or Front Wheel Drive. If you are looking for a new Jeep Cherokee or pre-owned Jeep Cherokee near McHenry, or a certified Jeep Cherokee SUV, consider Crystal Lake CJDR. Learn more about any Jeep Cherokee for sale on our easy-to-use website or visit us. Crystal Lake CJDR is a McHenry new Jeep Cherokee dealership that you can count on. As a full-service Jeep dealership, Crystal Lake CJDR has highly trained technicians and friendly sales staff in order to provide McHenry, IL customers with exemplary service and outstanding vehicles, including both new and pre-owned Jeep Cherokee SUVs. If McHenry customers would like to inquire about the Jeep Cherokee price or a Jeep Cherokee lease, our expert sales staff can answer questions in person, over the phone, or online! For a Jeep Cherokee dealer near McHenry that offers the stylish 2019 Jeep Cherokee in addition to pre-owned Jeep Cherokees and certified Jeep Cherokee SUVs, turn to Crystal Lake CJDR. We have numerous Jeep Cherokees for sale, such as a Jeep Cherokee All-Wheel and the Jeep Cherokee Latitude for sale. Moreover, our professional service department makes it easy to receive maintenance and repairs on your new Jeep Cherokee in the future. 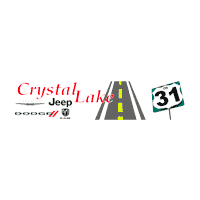 Crystal Lake CJDR has a 24-hour service center with Saturday service and shuttle service. We are a dependable McHenry new Jeep Cherokee dealership that offers both new and pre-owned Jeep Cherokee vehicles, and you can count on Crystal Lake CJDR for the best Jeep Cherokee lease. Visit our navigable website, where you can browse Jeep Cherokees for sale, schedule service, or visit us in person in Crystal Lake at E Terra Cotta Ave. and Illinois Rte 31.